SF SAID: Video Review, plus Questions & Answers! Leena also interviewed me, and asked some very interesting questions, about both Phoenix and Varjak Paw – covering subjects like world-building, martial arts, character creation and collaboration with Dave McKean. Read the full interview here! Hello, my name is Victor, i live in France... and I have some questions to ask you if you don’t mind. I know that you may not have time to reply my message, but it’ll be the best if you reply, I will be soooooo excited! Hi Victor! Many thanks for your message, and your questions. I don't think I can answer all of them, as there were lots & lots, but I'll answer a few! When is Varjak Paw 3 coming out? What will it be about? Will there be a Varjak Paw collection (Varjak Paw 1,2,3,4,5,6,7.......)? There will definitely be a third Varjak Paw book, but I don't think there'll be more. You see, in the first book, he's a kitten. In the second, he's an adult cat. In the third book, I think he'll be an old cat, like the Elder Paw or Jalal. But to write a book about an old character, I need to be old myself, to know what it feels like. I'm getting there, but I'm not quite ready yet! 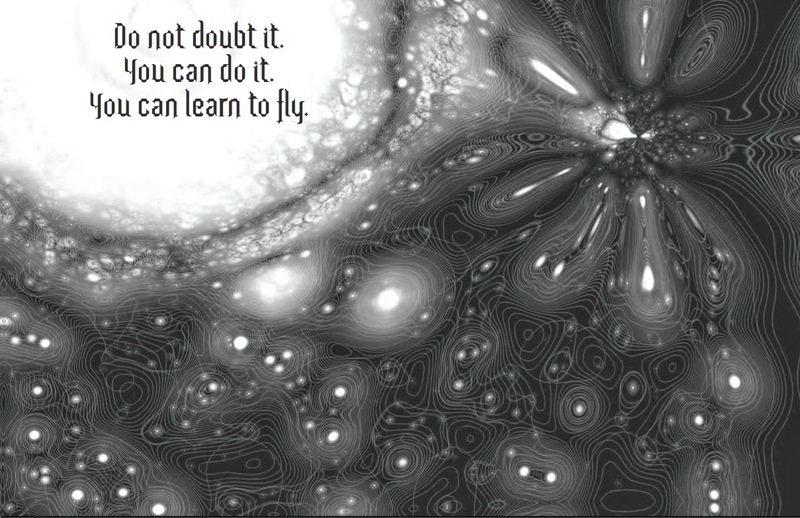 In the meantime, if you enjoyed Varjak Paw, I hope you'll read Phoenix – I think it's the best book I've written so far! How do you write a book? How long does it take to write a book like varjak paw? I work every day – I go to the library, and I sit there and write until I've done my work. I do that every day (except weekends & holidays!) I write in drafts, and with each draft, I try to make the story better, with the aim of getting to the point where I can't find any way to make it any better. That takes a long time. Varjak Paw took five years; The Outlaw Varjak Paw took three; and Phoenix took seven! I wish I was quicker, but that's how long it took me to make those stories as good as I could. What methods do you use for writing such so interesting books?- I even think your books are better than Roald Dahl, Jacqueline Wilson and Michael Morpurgo’s books!! The books you wrote are the best books I’ve ever read!! Thank you, that's an amazing compliment, though I can't agree about the other authors, because they're among my own all-time favourites! I think the best thing a writer can do is to read a lot. Every writer is really just a reader who's decided to write the books they want to read, the ones that don't exist yet. I have many favourite authors; some others are Ursula Le Guin, Peter Dickinson, Philip Pullman... I could go on... So my advice to anyone who wants to write would be to read as much as you can; be prepared to do lots of work; and never give up! I also tried to convince my friends at school, telling them that Varjak Paw was a really good book, but they wouldn't listen... do you have a little idea of how I could convince them? Thank you so much, Victor! That really means a lot to me. I hope you enjoy reading Phoenix too! For your friends, maybe you could show them some of the illustrations? Dave McKean's art is so brilliant - I feel sure it could help to convince them. Good luck, please let me know how it goes! Hello again SF Said, this is Brandon, you had replied to my comment a bit ago.. I come on this site often, but don't get to read your replies because I don't see them sadly, but you had replied I noticed. "Hello SF Said, I am Brandon, I am very young though, yet I have read your books of Varjak Paw, and Outlaw of Varjak Paw. KEEP THE WAY ALIVE! (lol signature)"-- me. Anyway, is there I way I can contact you in a message that I can show pictures? I'd like to show you fan art that I'm going to make in the future of Varjak Paw. Hello, Brandon again, SF Said, "Hello SF Said, I am Brandon, I am very young though, yet I have read your books of Varjak Paw, and Outlaw of Varjak Paw. KEEP THE WAY ALIVE! (lol signature)", the third book is kind of inspiring me to write!, but I already wrote a lot of books, but I want to create a "real" novel that people can enjoy themself, I'd just like to know if you could tell me how you can make a book cover. Hi Brandon, good to hear from you again! I'd like to see your Varjak Paw fan art very much - maybe you could post it somewhere online and send me a link to it? That would be great! Hello again Brandon! To be honest, I don't know too much about art - I just write the words; Dave McKean designs the covers! So he's really the one to ask about that. I think he uses photoshop quite a lot, so getting familiar with a programme like that could be helpful... Good luck, let me know how it goes! Hello there SF Said, just on the curious side, where did you get the name Varjak from? I was just wondering because I once owned the name Varjak way back in 2001 when I played the MMORPG Game called Runescape along with my two Brothers but now we don't play it anymore sadly. I don't think I even was the first to use the name Varjak but I don't mind anyone else using it. Hi there, thanks for your question. I started writing the first book in 1997, and named the character after my own cat. The name came from a mis-hearing of a line in the 1961 film Breakfast At Tiffany's. I think it's originally a Polish name, meaning 'warrior'. Hi SF Said, I'm soooooo excited about your visit to our school (Mercenfeld Primary) in February. I loved reading Varjak Paw and I'm now reading The Outlaw. Half of my class got The Outlaw for Christmas! I hope you can sign my copy. See you in February. Isobel. Thank you so much for your lovely comment, that really means a lot to me! I'm so glad that you enjoyed Varjak Paw and are now reading Outlaw, and I'm very much looking forward to visiting Mercenfeld Primary in February. Please say hello to everyone in your class from me, and keep the Way alive! I think:YOU ARE THE BEST AUTHOR IN THE GALAXY!!!!!!!!!!!!!!!!!!!!!!!!!!!!!!!!!!!!!!!!!!!!! Thank you so much - I think that is the best comment in the galaxy!!!!! Mr. Said, I love your books, but if there were to be any companion pieces about Jalal the Paw, I'd be veeeeeery happy! Thank you so much for your lovely comment! I think the third Varjak book will definitely have some more about Jalal the Paw, so hopefully one day you'll be happy! Hi there, and thank you for your question! I like them both. I think all writers love reading. They're quite similar in way; for me, writing is like a very active form of reading. When I write, I get to choose what happens in the story; but on the other hand, it's definitely harder work than reading! How about you – which do you prefer? I LOVE Phoenix! It is my new favorite book. It is FANTABUOUS (fantastic + fabulous= fantabulous). Even though it made come up feelings from time to time. I can't wait for TYGER. Is there a possibility for a movie of Phoenix? And if I'd love to see it and I'm sure others would also want to see it. I LOVE your comment! Thank you so much - it means a lot to hear things like that. Especially as fantabulous is one of my favourite words too! I'm 2 1/2 years into writing Tyger; I don't know how much longer it will be until it's finished, but I hope not as long as the 7 years it took to write Phoenix! 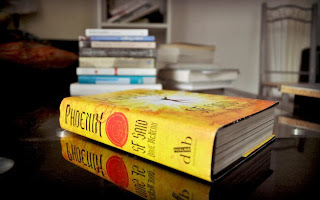 I hope there will be a movie of Phoenix one day, but at the moment, there are no plans to make one. It's very hard to get films made, so if you know any film producers or directors, please do tell them that you think Phoenix would make a good film! How did you possibly imagine living the life of a cat in such a realistic fashion? Are there any tips you could give me about trying to live as a character/person you aren't? I'm 13 and have a lot of creative writing to live through in school. Thank you so much for your comment and your question. I was inspired to write Varjak Paw by watching my own cat as he went out into the world. I wrote a bit about how it all happened in this blog post. I also did quite a bit of research on cats and cat behaviour, which I wrote about in this blog post. So observation and research can definitely help you imagine being someone other than yourself - but in the end, maybe the most important thing is imagination. I always try to imagine that I am the character I'm writing about. I hope that's helpful - and just in case you want more writing tips, I've done a series of them which you can find here. That's amazing to hear - thank you so much for letting me know, and please thank your daughter for me too! I'm working hard on my new book TYGER, but I can't say for sure when it will be ready. I wrote an update about it in this blog post - please could you pass it on to your daughter, and tell her that it will be published as soon as it's ready? 2- will there be a varjak paw 3 and what will it be on? 3-how do you find the time to write such good books? 1 - No, it's my real name. Those are my initials, like JK Rowling's initials are her initials. 2 - Yes, there will be a third Varjak Paw book. I wrote a bit about my idea for it in this very blog post - just have a look above. In the meantime, have you read my new book Phoenix yet? 3 - It takes me a long time to write each book! If you want to know more, I wrote a bit about my writing process in a blog post about the new book I'm working on right now. Thank you for your question! I wrote everything I know about the third Varjak Paw book in this blog post. I don't know when I'm going to start it - but it will definitely happen one day, when the time is right!